-Do you have right attitude, behaviour and knack for breaking new grounds? -Do you desire an opportunity within the financial services sector to build uncommon skills and competencies that will set you apart in the world of work? -Only short-listed candidates will be contacted and invited for an Aptitude Test. Aptitude Test notifications will be sent via e-mail and SMS. -Invited candidates will be required to log on to the portal to print out their Aptitude Test Invitation Slip. -Please note that forensic and security clearance wilt be conducted for all applicants invited for the test. All educational qualifications presented by applicants will be verified. 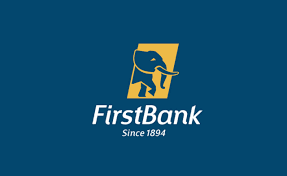 -FirstBank of Nigeria Limited and its recruitment partners wilt never demand money from any prospective candidate seeking career opportunities in the Bank. -Anyone who makes such a demand is not an authorized representative of the Bank and is not acting on our behalf. You are strongly advised to decline such requests. Application Closing Date: December 27, 2018.